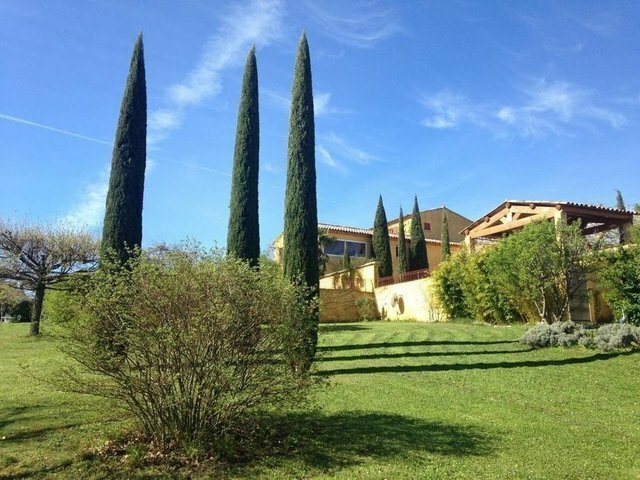 Situated between the Monts de Vaucluse and the Luberon, conveniently in proximity to major routes but surrounded by absolute calm, stunning traditional house on one hectare of land. The location of the house is ideal and has sublime views of the most beautiful landscapes. The garden is meticulously manicured offering a feeling of complete calm and serenity.The living room, dining area and cuisine are very spacious and luminous. 6 bedrooms with en suite bathrooms and 2 independent apartments complete the house. A large terrace and lean to roof enrich the outside living space. A magnificent pool along with its pool house are perfectly placed between the terraces and garden. Very beautiful property with many opportunities.